Jeremy Weiss, DO*, grew up in Kingwood, Texas just outside of Houston. He completed his undergraduate and medical school training in Texas before moving to Philadelphia, Pennsylvania for General Surgery and Urological Surgery training. When he completed his training in 2007, he, his wife and newborn daughter moved out to Denver, Colorado to start practicing. Neither one of them were from Colorado, but prior to moving out, they were always skiing, camping, hiking, fly fishing, golfing and enjoying the outdoors. It was, and still is, the perfect fit. Since moving out to Colorado, Dr. Weiss has been blessed with two more children, both boys. They could not have picked a better place to live, work and raise their family. Dr. Weiss believes that education is fundamental in the success of his patient’s treatment. He takes the time to teach his patients and explain their conditions in order for them to be able to take responsibility for their own healthcare and understand the rationale behind their individual treatment plan. With the doctor, patient, and staff working as a team, Dr. Weiss believes his office will be able to find solutions to any urological issue. 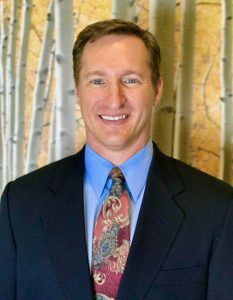 He specializes in minimally invasive procedures including robotic and laparoscopic surgery. However, Dr. Weiss treats all general urology conditions involving both men and women.